West coast baseball is a killer. The games don’t start until my bedtime so I lose hours of sleep staying up watching. The Nationals had last night’s game well in hand by 11 but like an idiot I watched the entire game, resulting in about 5 1/2 hours of sleep. By the end of this road trip I will be the riding dead. I rode away from the house with a cold wet slap in the face from the transplanted volunteer silver maple next to the driveway. Wake up, eedgit! After about a mile I was more or less awake. Less than more I suppose. The Mule is my steadiest steed for such groggy excursions. The trail was pretty much empty so I only had to stick my front wheel on the middle line and pedal. After the Dyke Marsh bridge, I came upon the Potomac River. It seems it had overflowed its banks and submerged the trail before my weary eyes. I stopped for a look back. I gradually woke up with each passing mile. Pretty women cyclists seemed to proliferate near the airport. Normally this would be a cause for sexist celebration. This morning they were just obstacles impeding the wobbly progress of a cranky old man. Get off of my bike path. A tent was set up under the 14th Street bridge. A tad noisy but the price is right. I tried to jump under my wheel but somehow I avoided it. Drivers in the Intersection of Doom must have sensed my grogginess. They took the day off from trying to kill me. The sidewalk tiles in front of the Deloitte/CEB building felt like they were loose. Almost there. I didn’t slide. 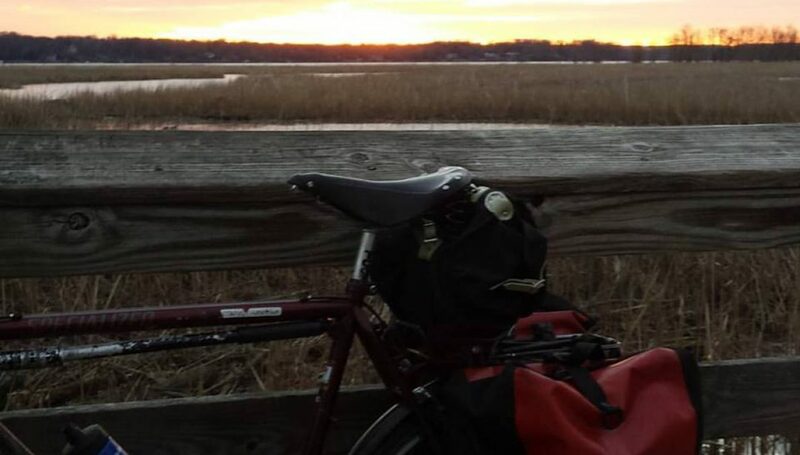 It was a stand up bike commute. 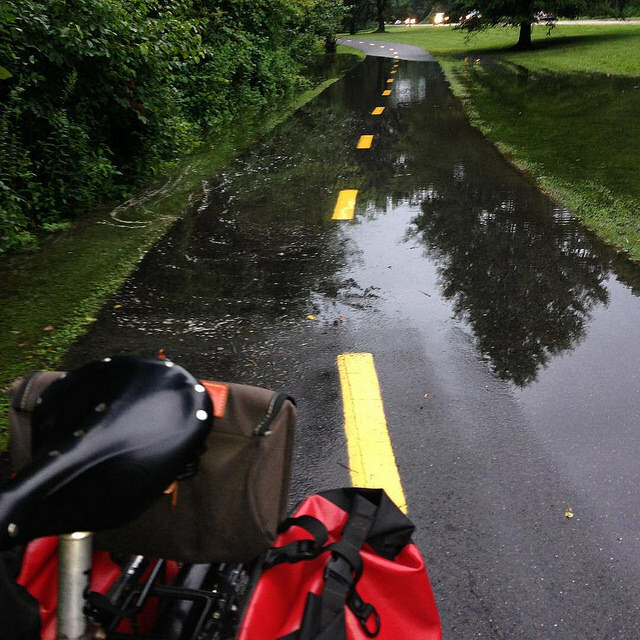 Posted on August 11, 2015 by rootchopperPosted in "Mount Vernon Trail", #bikedc, bike commuteTagged "Mount Vernon Trail", #bikedc, bike commute. Wow, do I know THIS feeling!! It’s great isn’t it! !